You arrive at the Puerta Del Sol and drive over to the LSMYC building on the left and walk to the large wooden doors on the ground floor. Pulling open the heavy door you walk across the tile floor and tell the small, attractive woman sitting behind a large desk your name. She smiles at you and asks you have a seat, pointing to one of the office chairs across the room. You sit and begin to fumble with your own hands, tap your feet, and glance around the interior. A few minutes pass before the secretary stands up and walks over to you from behind her desk. "Mr. Moretti will see you now!" She says to you in a cheery tone with a large smile on her face as she nods towards the large, wooden, double doors to her left. You thank her and take a couple determined strides towards the door, stopping with your hand on the large brass handle to take a deep breath. As you open the door a man dressed in a nice suit stands to greet you. "Hey there kid, good to see you! I've heard a fair bit about you from some of my boys already. They say you have been putting in a little work and are looking to make it a more frequent thing? Well you've come to the right place, I can tell you that much! Let's get started with a quick bit of history." "Back in the day I was just like you, eager to line my pockets, make a name for myself, and little desire to actually go about that in a legal sense... I ran with a small crew over in Liberty City, I wasn't anyone too important, mostly just slinging dope and just about anything else that came my way. But I never made much more of myself than being a dealer. Anyways, I ended up meeting Mr. Kahn and the two of us became fast friends. After a job of mine went south, and even resulted in the Made Man of an old Liberty City crime family being shot, the two of us came to Los Santos in order to start fresh. We lost touch for a while and then met again working for a crime family here. Things went well for us for a while, we were making money, contacts, and quite the reputation. I put in about a decade of service for this family before things there started to have their... Complications... By this time I had become a Made Man for this family and had taken over their operations in the La Puerta Scrapyard. With a constant chop shop in effect my influence grew quickly, even managing to out-grow the Don of the old family. Before long I had expanded my empire into multiple Los Santos customs as well as a couple other scrapyards in the city and out in Blaine County. I had a number of men working for me and it became apparent that with the complications of the other family my time of growing there had reached it's end. That brings us here." "I had grown sick of the few years of getting my hands dirty every day in the scrapyards, coming home with dirt in my hair, clothes stained by rust, and body tired. So with the money I had amassed over the years I sold my scrapyard and bought this place. Here I get to go home feeling clean, while still getting just as metaphorically dirty." 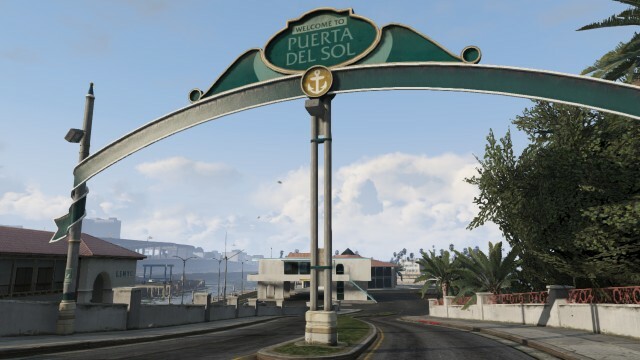 "I've got a small army of yachts that run an smuggling operation for me, moving both drugs and weapons to various buyers throughout the city and out to Paleto Bay. Due to these connections The Kobra Corporation and I have been able to support a decent business partnership and are often able to help his men get things where they need to be." "Add to the yachts we also own the small heli-tour business across the way. This serves a similar purpose but of course seem locations can't be reached by boat." "We also have our hands in some lower key things around the area as well, I'm sure you noticed the working girls down the road? Yeah, they work for us as well. So we often have opportunities in pimping represent themselves here too." "So what do you say? Sound interesting? Why don't you take a little look around, maybe start with some smaller things, and if all goes well maybe we can get you involved in the smuggling business soon. Just keep your wits about you and your head up kid. I'm sure you'll do great things for us one day."